Terror and violence preclude empathy. Poetry of the Taliban, a new collection of over 200 poems from uncensored voices within the Taliban, compiled by Alex Strick Van Linschoten and Felix Kuehn. In May Shah wrote about a collection of Taliban poetry. Today she includes those notes, contextualized by the case of a young Pashtun girl who was shot by the Taliban. 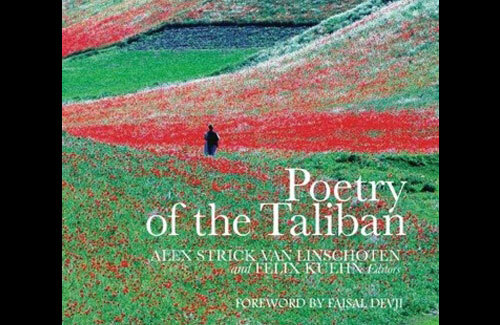 A few months ago, Alex Strick Van Linschoten and Felix Kuehn compiled and published a book called Poetry of the Taliban, which presents poetry written by Afghan men (and one woman) on a variety of subjects. According to the Guardian review: “There are poems of love, battle, transience, grief, enthusiasm, material deprivation and mystical astonishment. 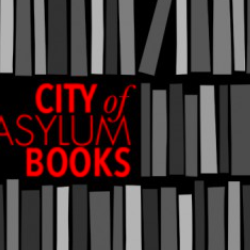 The voices are diverse and often surprising.” This controversial collection has been seen as an attempt to humanize people who have been vilified since the invasion of Afghanistan and bring their voices to a wider audience. But on October 9, Malala Yousufzai, the young Pashtun girl who wrote a diary about her life under the Taliban for a BBC Web site, was attacked by militants as she was driven home in a van after an examination. The 14 year-old peace and education activist was shot in the head and neck and is currently recovering from her injuries in a UK hospital. The horrific attack on this schoolgirl, winner of numerous awards for peace and education, reinforces my initial reaction to the Poetry of the Taliban project: One of inner revulsion and a refusal to accept that the Taliban truly deserves to be listened to. The litany of human rights abuses that the Taliban has committed in Afghanistan and Pakistan could go on for pages; they have been fighting what amounts to a civil war for the last ten years. They’ve been mixing with other extremist groups, taking advantage of a porous border, and using their many family ties on both sides of the border to wreak havoc on innocent civilians and the Pakistani military. They’ve blown up girls’ schools, kidnapped and killed foreign aid workers, and invaded the entire region of Swat. In May, they beheaded fourteen Pakistani soldiers and displayed two of their heads on poles. I’ve been told that, as a writer, I should not seek to suppress even the voices of those I despise. But to ask me to read the poetry of the Taliban and consider that they too are humans with creative hearts and souls is just too much of a stretch. Especially when their ideology, once played out to its logical end, would mean that no girl or woman could write a poem or book. If the Taliban had their way, they’d be running my country. They’d destroy every girls’ school from Kabul to Karachi. They’d drive women out of their jobs, out of the streets, out of hospitals, and everywhere else that women need to be. They’d confine them to the house, turning them into baby machines and domestic slaves. No girl would have the luxury of going to school or learning how to read and write. In fact, girls’ education seems to be a particular target of the Taliban. It makes sense that Poetry of the Taliban exists. It’s a creative experiment that illustrates the multifaceted nature of humanity: We can wield a weapon in one hand and write poetry with the other. But when I think about the Taliban, I picture that young girl in Swat who was flogged mercilessly in a public square. I remember how women starve because they can’t work to feed their families, or how they are whipped for wearing white socks with their black clothes. I keep in mind the women committing suicide in droves from psychotic depression. And now I think of Malala Yousufzai lying in her hospital bed, targeted because of a diary she wrote and her resistance to the Taliban’s murderous ideology. I can’t bring myself to read the Taliban’s poetry with an open heart. I may be a writer, but I’m a human being first and a woman second, and no art takes precedence over human life. 3 Comments on "Malala Yusufzai and Poetry of the Taliban"
I agree. I hovered my mouse over the image of the book, being curious, but a feeling of disgust came over me. It would be hard to believe in any expression of human feeling that comes from people who act so inhumanely. 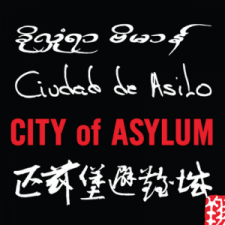 I wonder if the poetry migh help me to understand what makes these unfortunate people so fearful, deluded, and vicious. … Still, not sure I can go through with it. The book sounds incredibly interesting and I would love to read it. I always find it interesting learning about the lives of others, especially when the background story is so interesting. Thanks for your post. I will get a copy and read it. Thanks for mentioning it, dear Bina.